The Château des ducs de Bretagne could well be the inspiration for most fairy tales: a turreted and moated castle in the city centre of Nantes, with buildings dating from the 15th and 17th centuries. 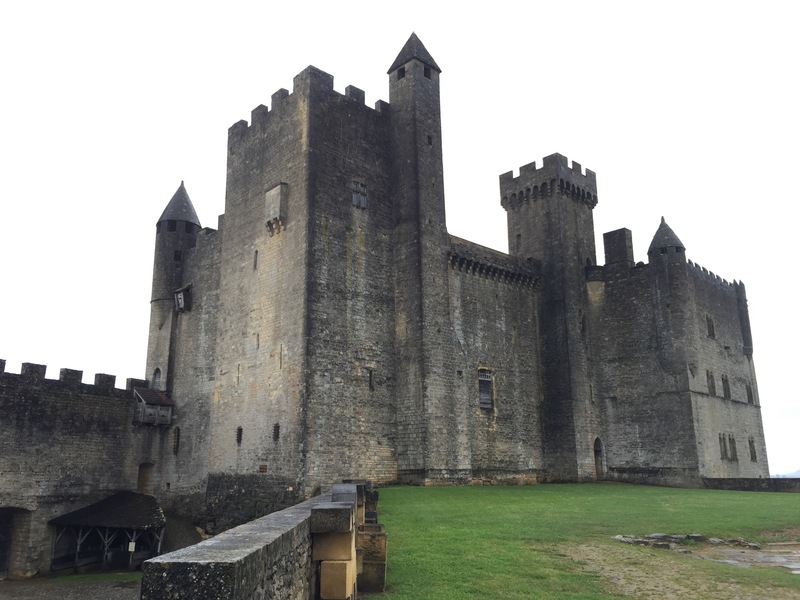 It was built by the last Duke of an independent Brittany, with the idea of serving a dual purpose: a military fortress to act as a defence against the King, and the principal living quarters of the ducal court. The castle was used as the living quarters of the kings of France when they visited Brittany, later military barracks, an armory, a prison and nowadays a museum. You can explore the courtyard and walk the walls for free looking out on the cathedral, the old town and where the Loire flows. As part of that entry price is a random experience. Around the castle a 50 metres (164 ft.) steel slide wraps around the contours of the outer wall naturally complementing the hewn stones of the fortification wall. The slide is hanging above the Castle’s moat, and it never touches the castle but it does provide a different viewpoint. Giving all its visitors the unique opportunity for an adrenaline rush and a random experience. A castle dating from the 12th century and a mission to get to – especially in heels. Chateau Beynac sits on top of a cliff some 200 meters above the Dordogne river. An opportunity to explore a proper castle and imagine life in it. So much that numerous movies have been filmed in it, including Jean D’Arc. Chateau de Cazenac is located in the top of a hill in the heart of the Perigord Noir region in southwest France – east of Bordeaux, near where the Dordogne and Vezere rivers meet. It is a castle from the fourteenth century that originally had only the West tower. 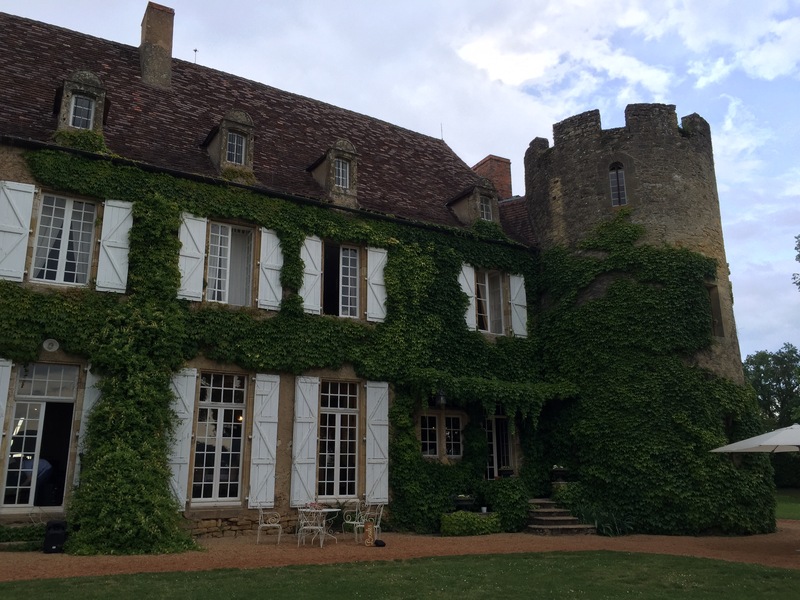 This chateau has an abundance of history from the days of Richard The Lion Heart to the Renaissance period when when the East tower and a guesthouse were added – around the fifteenth and sixteenth century. During the seventeeth century and the French Revolution, the south façade is built. It is believed that the castle was owned by the family of Abzac and Roffignac until the 19th century. In 1988 the current owners, cousins to Les d’Abzacs family, bought the castle and made necessary arrangements to receive guests and be a place for functions, like weddings for example. It is this the reason I traveled halfway around the world – a wedding in France between an aussie and a pom. Not bad for the first time being a plus one, hey? 2. 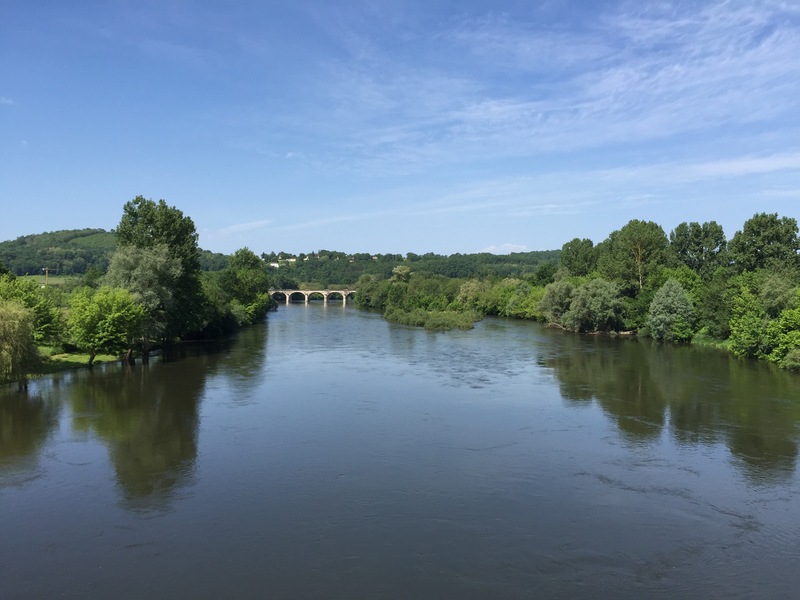 The French department (county), the “Département de la Dordogne”, surrounding a long stretch of the lower Dordogne between hills and plain. 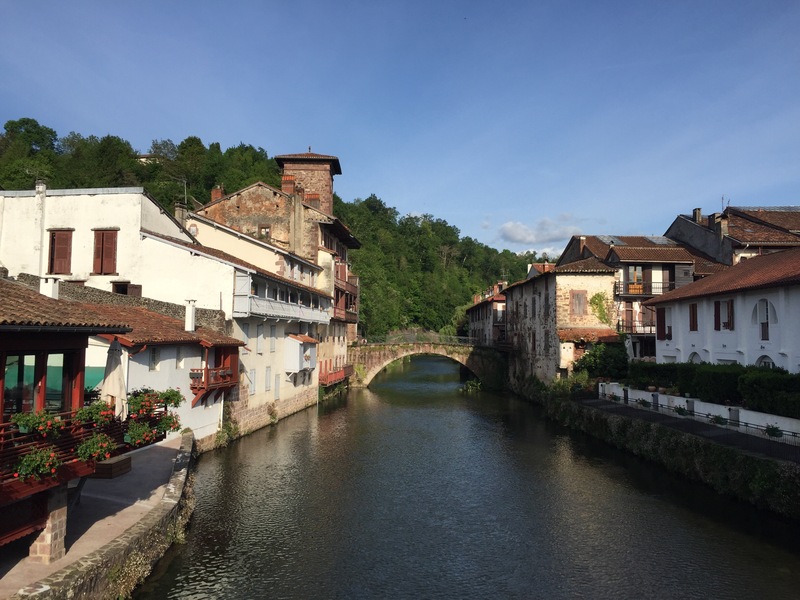 The heart of the county is known as “le Périgord noir”, where we explored, and is the classic Dordogne, with its limestone cliffs, castles and rock-sculpted picturesque villages. It is also known for its world-famous caves with their stalagmites and stalactites, and in several cases prehistoric artwork. 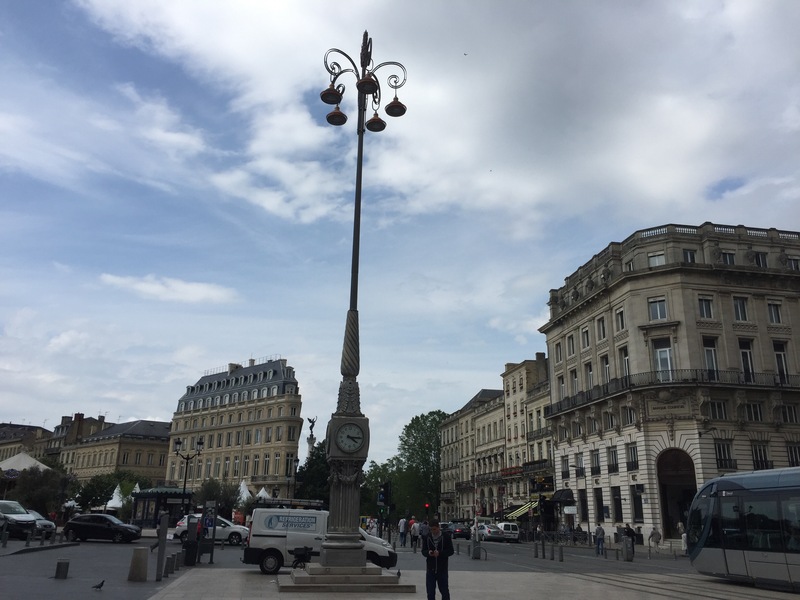 Divided in two: the wine trade area and the city centre, Bordeaux was once part of England. The wine trade had a system in which wine owners had to sell through brokers to the merchants. These merchants then sold to public and were who aged the wine to ﻿the taste of their customers but only from the 1800s. An important fact about Bordeaux wine is that the grapes used for a bottle are to be exclusively from the region where they grow if they want to be labelled product of Bordeaux. 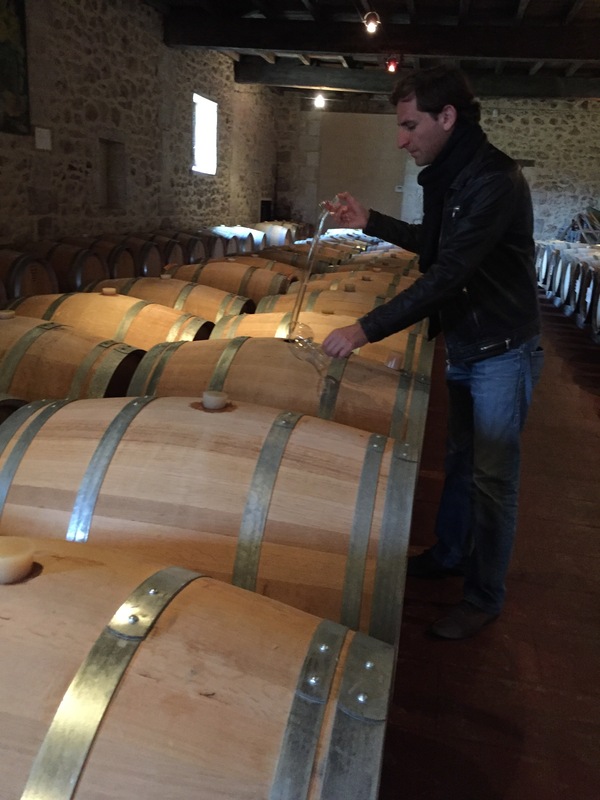 Otherwise, mixing grapes from different areas means the bottle has to be labelled Product of France losing its exclusivity. Whilst it looks like a Mexican standoff setting, it really is the France from a long time ago. Houses dated from the 1300s surround this plaza. 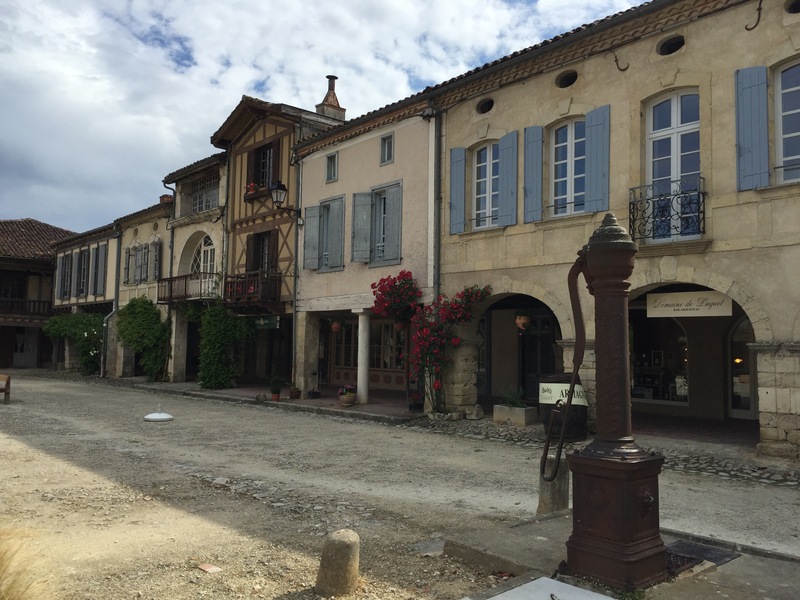 In this place Armagnac is made, a type of fortified wine – thus made from grapes- and is the oldest form of brandy ever made. A single distilled alcohol that predates cognac by 150 years.